Home > Testimonials > Linda R.
I met Matt through my daughter Heather and son-in-law Doug. 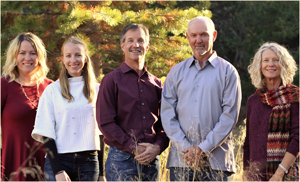 Matt helped them buy their house in Truckee and they really liked working with him. I was ready to sell my home in Chamberlands in Homewood after 19 years. It had gotten to be too much for me to care for by myself. I wanted a realtor who was aggressive and dedicated, especially in this market. Heather said she felt Matt would work really hard for me. I can honestly say that he did an outstanding job for me in every way. He helped me price the house so well that we had 2 good offers within 3 weeks. We also had some permit issues to clear up and Matt went beyond what is normally required or expected of a realtor to help me obtain the clearances and permits needed to close escrow. He was always immediately available for me to talk to or email and we closed escrow on time and without a hitch. Now Matt is helping me find a condo closer to my daughter’s house. It’s a perfect ending and I’m really appreciative of all Matt has done to make this happen.